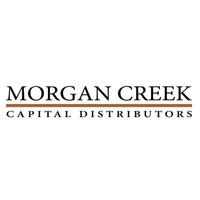 Morgan Creek Digital is a subsidiary of Morgan Creek Capital Management specializing in digital asset investment management. Morgan Creek Digital is an investment management firm specializing in cryptocurrency investment management. The firm is partnered with Bitwise, a digital asset management company known for creating crypto indices. Together, the two companies created the Digital Asset Index Fund, a crypto-based index fund that tracks the performance of the top 10 cryptocurrencies by market value. Morgan Creek Digital's services are intended for accredited, U.S.-based institutional investors, and charge a 2% management fee. The minimum investment for Morgan Creek Digital is $50,000. The cryptocurrencies tracked by the index are bitcoin, Ethereum, Bitcoin Cash (currently the one using the Bitcoin Cash legacy blockchain/Bitcoin ABC, not Bitcoin SV), EOS, Litecoin, Monero, Zcash, Dash, IOTA, and NEM. In December 2018, Pompliano issued a challenge similar to one posed by Warren Buffett in 2007. The bet placed by Buffett was that the S&P 500 would outperform a portfolio of funds and hedge funds managed by investment manager Ted Seides. Buffett won this $1 million wager in 2018. Pompliano said that if the Morgan Creek Digital Asset Fund doesn't outperform the S&P over the next decade (from January 2019 to 2029), Morgan Creek Digital partners will pay $1 million to the single willing investor they select to take the bet. In what it billed as the first investments by U.S. public employee pension funds Morgan Creek Digital announced on February 12, 2019, that it was launching a $40 million fund focused on cryptocurrency ventures that was anchored by investments from two public employee pension funds from Fairfax, Virginia. The new fund will invest in the equity of companies in the blockchain and digital assets industry. In February 2019, blockchain startup Figure Technologies announced that it had raised $65 million in a Series B funding round backed by Morgan Creek, bringing its total equity funding to over $120 million. According to Figure, these funds would be used to strengthen its product offerings. Full Tilt Capital LLC, a venture capital firm started by Anthony "Pomp" Pompliano, was acquired in early 2018 by Morgan Creek Management LLC, a hedge fund managing over $1 billion worth of assets. According to Pompliano, the firm intended to focus primarily on executing transactions over a blockchain. ↑ Buffett Bet 2.0: Crypto asset index vs. S&P 500. The Block Crypto. ↑ An index fund built for the world's leading institutions. Morgan Creek Digital Assets. ↑ An index fund built for the world's leading institutions. Morgan Creek Digital. ↑ Abra Wallet and Exchange Service Introduces Token That Tracks Crypto Index. Cointelegraph. ↑ Cryptocurrency index fund follows Warren Buffett's playbook, but with a $1 million bet against the S&P. CNBC. ↑ Morgan Creek Is Betting $1 Million That Crypto Can Beat the S&P. Coindesk. ↑ Crypto Fund Makes Buffett-Style Bet Digital Coins to Beat Stocks. Bloomberg. ↑ First U.S. Pension Funds Take the Plunge on Crypto Investing. Bloomberg. ↑ Morgan Creek Joins $65 Million Series B for Blockchain Home Equity Loan Firm. Coindesk. ↑ Going Full Tilt. Full Tilt Ventures. ↑ Morgan Creek Acquires Full Tilt Capital for Blockchain Push. Bloomberg. This page was last edited on 28 February 2019, at 11:27.